“Vocabulary levels are strong predictors of later literacy skills. They predict not only how well children will develop reading comprehension, but also their phonological awareness and phonic knowledge. Vocabulary level at age five has been found to be the single best predictor of whether a child brought up in poverty will escape poverty in adult life. Without a good vocabulary, children struggle to understand what they are taught, to express how they feel, to manage social situations and resolve conflicts” – Jean Gross CBE in the Foreword to the Word Aware book. This quote highlights how important vocabulary is for all children and in all aspects of life. Yet, although I often identify that a child has poor vocabulary (and I’m sure teachers do as well), it can be really hard to know how to tackle it. How do you choose which words to teach? How do you teach them so that they are properly understood and remembered? And how can you tell if it’s working? Elizabeth and I both attended the Word Aware course with Stephen Parsons and Anna Branagan on Friday 3rd October hoping for answers to some of these questions. It was a really useful course and I thoroughly recommend both the course and the book to anyone who has an interest in the topic. Word Aware is mostly a whole school approach, with small groups also held for children who need either pre-teaching of vocabulary, or who need to acquire word learning skills before they can benefit fully from the rest of the approach. The approach is about making words a priority and there are some lovely ideas throughout of how to do this in school without it taking loads of extra time and planning. It is based on a system called STAR (Blachowicz and Fisher, 2010) and I think this process is a really helpful way to think of vocabulary teaching. You can’t teach a word one day and then forget about it – it needs to be a much more systematic approach. STAR stands for Select Teach Activate Review. It obviously isn’t realistic to sum up the whole of the approach in one blog post, but I thought I would talk today about each of these 4 aspects a little bit. In the book, Stephen and Anna apply this to topics, literacy, concepts and emotions, but the principles are the same and I’ll talk about topic vocabulary here. Anchor words – these are words which would be expected to be known by the majority of children of this age and which come up in everyday life. Goldilocks words – not too easy, not too difficult but just right! These are words which are topic specific but are very important for understanding the topic. In judging whether a word was a Goldilocks word or not, we were encouraged to think about whether the children would be likely to come across it again in reading or oral language – if not, it probably isn’t a Goldilocks word. Teachers are encouraged to pick one Goldilocks word to specifically teach as a part of each lesson. Step-on words – these are words that are very specific to the topic but are not so important for understanding the topic and are less likely to come up frequently. We found that the teachers on the course were much more able to pick out Goldilocks words than we SLTs were, as they had a much better knowledge of the average student, but with a little practice I was pretty confident with this concept. It’s a good way of choosing the best words to focus on and having a manageable and useful list to focus on. 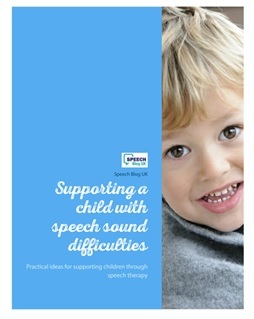 Teach – there is a particular sequence of how to teach each word and I think the two main things that struck me about this are that it ensures lots of repetition and that it is multi-sensory, thus enabling most children to learn it. The sequence involves sound-related aspects (talking about the number of syllables, rhymes, initial sound etc. ), meaning aspects (other similar – but already known – words, context, putting it into a sentence etc.) and multi-sensory aspects (acting it out, using a song or rap to reinforce the word, using a symbol to represent the word etc.). Teachers are encouraged to have a “Working Word Wall” in their classrooms to display the words that have been targeted, and a “Word Pot” in which to put words when they come off the wall, so that they can be reviewed later. Activate – This is an aspect that it’s easy to forget about, I think. This is where the children explore the word more through practical activities to help them gain a fuller understanding of it. This sounds time-consuming, but it doesn’t actually require a lot of additional activities, but more highlighting the word regularly in the activities already planned as part of the topic. I think the Word Wall would be a great way to keep the new vocabulary in the minds of both staff and pupils so that it is used often and in as many contexts as possible. It’s a bit like putting a note on the fridge to ensure that you see something and remember it! 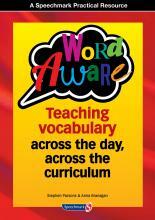 Review – There are many, many fun ways to review taught vocabulary in the Word Aware book. There are great ideas of questions to ask at the end of the lesson as well, which are more interesting and useful than “what does x word mean?” For example, “when do you think you might use this word again?” or “how do you think you will remember this word”. As with anything, I think the key is to keep it fun, varied and engaging – no-one learns well when they’re bored! I love the idea of the Goldilocks words and of course using words in many ways to embed them. Natty is a very kinaesthetic learner and we try to incorporate song, touch and actions as well. Thanks Hayley – glad you found it useful! 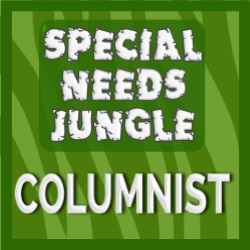 Multi-sensory is always the best way to learn – not just for children, but for all of us!